Check out the archive of update and articles over the years in the S'eclairer Newsletter and sign up to stay in touch! Read newsletters since June 2014 here! A working group from the Academy of Nutrition and Dietetics recently released dietary steps aimed at preventing people with pre-diabetes from progressing to Type 2 diabetes. In addition to recommending weight loss, the group calls for registered dietitian nutritionists to provide medical nutrition therapy, and to provide individualized plans. The group also recommends the consumption of more plant protein rather than animal protein, but emphasizes that weight loss is the key. "Young adults who are sedentary and stay relatively inactive through their early adult years are significantly more likely than are their more active peers to have worse executive function and processing speed in middle age." So says Tina Hoang, a research associate at Veterans Health Research Institute in San Francisco, said on behalf of researchers in the CARDIA (Coronary Artery Risk Development in Young Adults) study. "Exercise decreases vascular risk factors, inflammation, and depression, and increases angiogenesis and neurogenesis: according to Ms. Hoang said. depression also is the comorbidity that can be addressed most effectively. ...persuasive clinical trials data show that effectively treating psoriasis markedly improves patients' comorbid depression." Honoring the Earth is an important theme here at S'eclairer. We demonstrate it if fun ways, like our goat and chicken videos (the newest of which is available by clicking the photo above). These videos usually get the most clicks of any of the videos we post! This one features our own Uber-Geek Mike on his Google Glass again, enjoying a little goat petting. We honor the Earth in very serious ways also. That is why we are so pleased to announce the addition of David Smith to our staff. David is a specialist in Native American Recovery issues, to which he brings his vast knowledge of Native history and culture. His father was a 34th generation "priest," although the term "healer" would be just as appropriate. Now as the 35th generation priest himself, his mission is to bring honor and dignity to Native peoples by helping them recover from alcohol and drug abuse. His talking circles and counseling are open to non-native peoples as well. One of the things we are looking forward to learning from David are all the ways and reasons his people have honored the Earth in the past, so that we may continue to do so in some small way here at S'eclairer. David is joining the staff this month, so stay tuned for more Talking Circles and details of retreats, and details on how we can honor the Earth. Essential oils are sometimes written off as alternative therapies. At S'eclairer we believe that their use is a complimentary therapy that works together with more conventional methods to promote a more whole and lasting recovery. 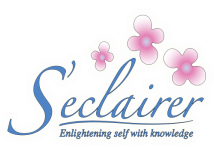 S'eclairer believes in sustaining recovery with an inner balance that promotes a lifestyle of wellness that fits with our integrative psychiatric practice. Treatments like group therapy, yoga, and essential oils combined with the mental health therapies and medications support inner balance for recovery. Our sense of smell is highly linked to our memory and emotional state. If you have every enjoyed the smell of a fresh sliced orange or walked through a field of lavender you have experienced the power of essential oils. These oils are clean and pure, extracted from seeds, bark, stems, roots, flowers, and other parts of plants. They have been used throughout history for their medicinal and therapeutic effects. The rich smells of essential oils can help people find peace in the present moment. They call us back from the constant stream of anxiety provoking thoughts and images we replay in our mind. Different scents conjure different parts of our brain and are used for different ailments. For example lavender, lemon, orange peel can help relieve anxiety. Though there are basic principles much of the treatment is individualized so a person should explore which scents speak to them. As the summer winds down, we are going to host a special social event tomorrow. It's a chance for everyone to meet, greet and eat with the S'eclairer staff. We have a unique atmosphere, where we incorporate aspects of healing that are now defined by the term "Integrative Medicine." If weather permits, we'll have a bon fire, plus a drum circle and music, dance and of course food. We heartily invite you to join us for this special social event. Even though the summer is over, our commitment to teaching and reaching out to our local community is not! Please join us for any of the events listed below to learn how we demonstrate our commitment to "S'eclairer" -- a French word that means "Enlightening Self with Knowledge." Hope to see you in person this fall! A recent article in Psychiatric Times points out the link between Mother Nature and mental health, and explores the various ways that farming is used as therapy around the world. "Care Farms" and "Therapy Farms" are used to treat troubled youth, depressed adults, and veterans returning from war. As one veteran said, "It's a different feeling of accomplishment when you're watching something grow with life out of your own hands and not die from your trigger finger." Just being in nature, being with farm animals, and working with the soil are forms of therapy and provide great comfort, satisfaction and healing. That's why here at S'eclairer you can always walk around with the chickens and goats. And even when you can't be here, you can do it virtually. Just click on the spider web photo above to take a walking tour of the S'eclairer "therapy farm." Art Therapy is a field that uses the process of art making to improve physical, mental and emotional well being for individuals, and also utilizes the art as a form of communication between therapist and client. A client will sometimes create art for the release of emotions and engage in the process as a form of catharsis. Other times the art a client makes will be used as a communication tool and the therapist can guide them in understanding the meanings or messages within the art, so the client can reach their own truths. Treating women with bipolar disorder requires some special considerations. Not only is it possible for the hormonal changes to impact mood, but the hormones can also impact pharmacokinetics of the mood stabilizing medications. To understand the various causes of cancer pain potential intervention to help patients with cancer pain. Despite the high prevalence of depression among youths, there are empirically supported treatments that have been shown to reduce depressogenic symptoms, these therapies are provided at Seclairer. When the term "integrated medicine" is used, most people correctly assume that "Eastern" and "Western" medicine are being integrated, or perhaps "complementary" with "traditional" medicine. Some people prefer "holistic" or "mind-body" medicine as well. All those are accurate for what is practiced at S'eclairer. However two other important integrations are happening as well. First we integrate all the latest science and technology. Whether it is research from the latest study, or fully implementing the social media tools of today, our goal is to be in the forefront. The second most important integration is YOU. To keep you fully integrated with us, we send you this email newsletter twice a month, post numerous articles, interviews and information regularly on our website and social media outlets, and host many live events where you can come and meet our experts in person. In my personal life I have always loved to be creative. According to Webster's Dictionary the definition of Creativity is the ability to make new things or think of new ideas. I feel that this was something that I was encouraged to do as a child and was definitely something that my mother loved as well. She passed this love on to both me and my sister and now I am happy to pass this on to my children. Anyone who knows me is aware of my passion for dance. I started dance lessons at a young age and continued to have some form of dance in my life through my college years. As an adult I truly missed this type of expression, however, I was not sure how to reincorporate this into my life due to working full time and having young children at home. Fortunately for me, approximately 4 years ago, I was given the opportunity to become a dance instructor where my children attend dance lessons. I was overjoyed with this invitation and continue to love passing on my love of the arts to young people. In taking on this task I was also taught a lesson myself. Will you be safe going to visit your family in Pakistan? How was your trip and what do Pakistani people think about us? Where you safe? How was your family and what is it like there? As I embarked and returned from a trip to visit my elderly mother, my colleagues in various settings, expressed their well wishes and curiosity. They shared their sweet concerns for me. Ongoing war and conflicts in and around Pakistan were not the norm when I was growing up in the agricultural land of Sufi's and Sweet Mangos. Conflicts in Vietnam and Middle East were the headliners on the paper and airwaves. Pakistani folks were pretty content with warmth, sounds of animals and raindrops. Sweet aroma of nature in the meadows, laughter of women in the field, call of the street hawker, young and old gathered around snake charmer and puppet show were the riches of all. Richness of hearts mixed with dust of land perfectly. Some energy mysteriously had made the mangos, aroma and people of world residing in USA and Pakistan sweet and caring. Irritable bowel syndrome is a disorder characterized most commonly by cramping, abdominal pain, bloating, constipation, and diarrhea. IBS is not the same as inflammatory bowel disease (IBD), which includes Crohn's disease and Ulcerative Colitis. In IBS, the structure of the bowel is not abnormal, although it causes a great deal of discomfort and distress, but it does not permanently harm the intestines and does not lead to a serious disease, such as cancer. Most people can control their symptoms with diet, stress management, and prescribed medications. For some people, however, IBS can be disabling. They may be unable to work, attend social events, or even travel short distances. Irritable bowel syndrome or IBS affects up to 55 million Americans, mostly women. IBS causes are unknown. IBS is generally diagnosed on the basis of a complete medical history that includes a careful description of symptoms and a physical examination. Disrupted sleep patterns may be more natural than many believe. Before artificial illumination was widely used, many of our ancestors typically slept in 2 bouts, which they called first sleep and second sleep. Several lines of evidence suggest that this archaic sleep pattern may, in fact, be the natural sleep pattern-the one most in tune with our inherent circadian rhythms and the natural environment. What are you? How to you envision yourself? What are you to other people? This is something that's been on my mind for nearly a year since one of the first talks I heard by Dr. Chaudhary as I started working on bringing his message online with S'eclairer last October. But in this case, we look at labels as a negative. When you look at mental health, as we often see it in media, you are a psychopath. You are schizophrenic. Dr. Chaudhary talks about how we (the doctors and social workers) need to keep from classifying these people in such a way. Because they are people. People with psychopathic disorders. People with schizophrenia. It's very important in bringing them out of their condition. If they see themselves as the condition, they'll accept that as the case. But then I noticed a trend in the other direction.